Not this week or anything, but soon. For sure. 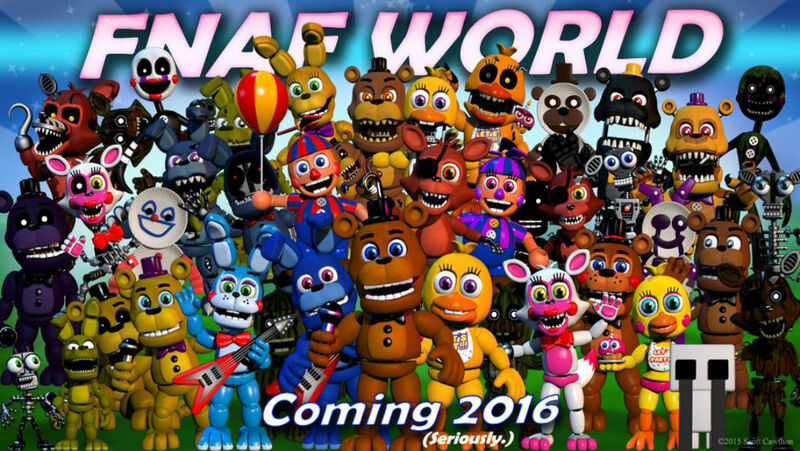 There's not that much longer of a wait for Scott Cawthon's latest Five Nights at Freddy's RPG. In fact, it's coming as soon as next month: February 19. There's no more wondering when exactly you'll be able to get your hands on the latest addition to the Five Nights at Freddy's mythos: That time is (almost) now! It looks like an adorable role-playing game with some of your favorite characters from the FNAF universe with some darker overtones thrown in for good measure. It's also extremely colorful, but you can probably be certain there's a lot of darkness underneath it all. In any case, we'll be here to tackle it when the game finally releases to get a go at it and see what we're really dealing with here. It's gonna be spooky, you can count on that.